So, I think we all can agree it’s absolutely a knife in the back not to be able to eat typical pizza when you have I.C. Don’t get me started on how much I miss an occasional pizza slice of thin or deep dish. Just think about it makes me hangry. (Hungry and angry at IC). Losing tomato and chocolate were the worst losses for me, personally. Anyway, here is my creation where I found a work around to the typical tomato pizza, and what’s even better? It’s fast. 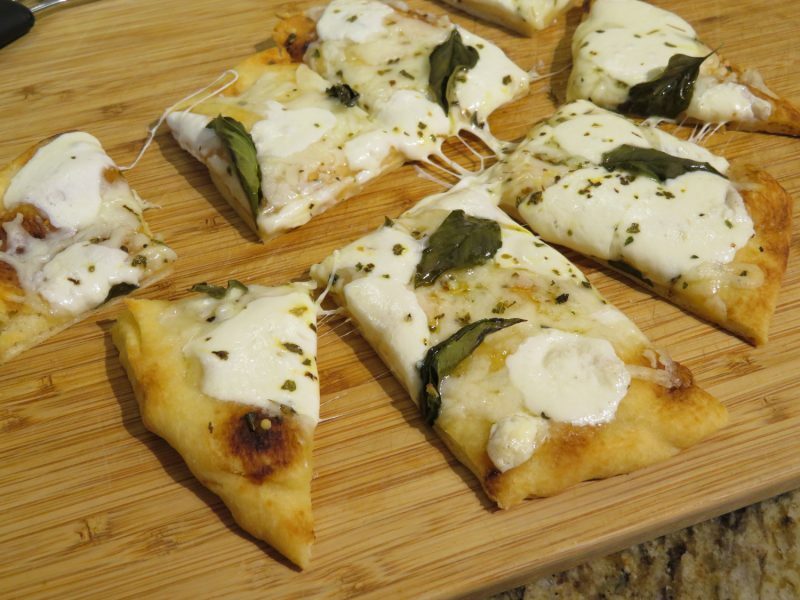 Serving: 1 Naan pizza can serve one hungry person or 2 moderately hungry people. Preheat oven to 400 degrees to get it piping hot. 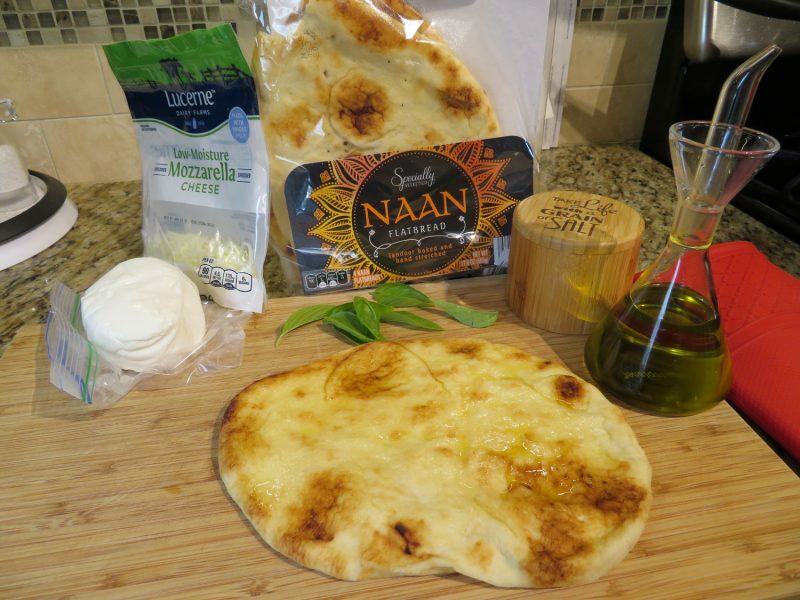 Remove one Naan oval from package. Spread with a reasonable amount of olive oil – just enough to cover the top without making it a soppy mess. Start with 1 teaspoon of olive oil and see if you need more, you probably won’t. Cover with additional shredded mozzarella, if desired. 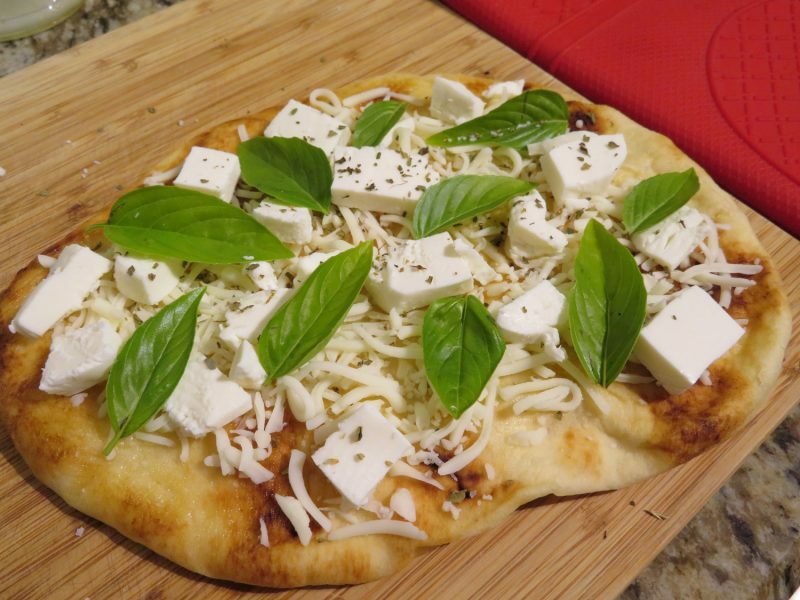 Place fresh basil on top of pizza. Take 1-2 small pinches of coarse salt and spread over pizza. 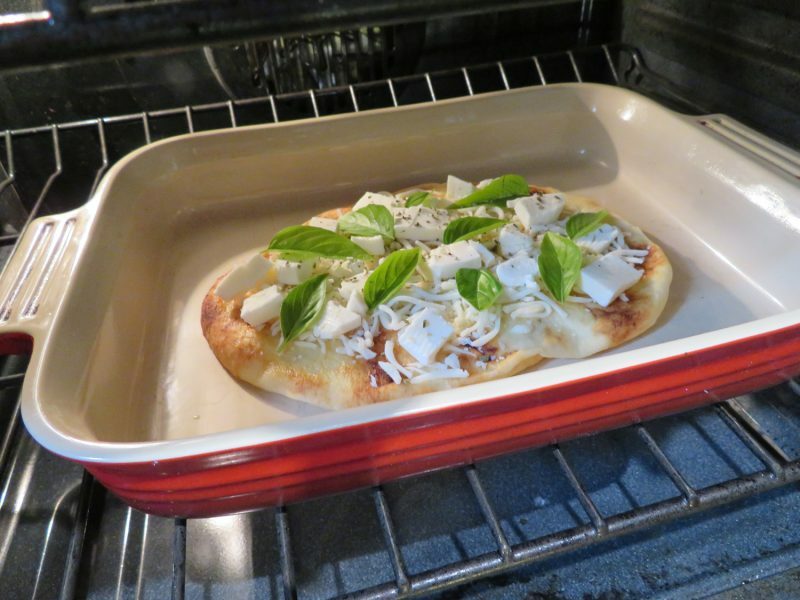 Move pizza to a baking sheet, once pre-heated, bake pizza for 10-15 minutes. Monitor pizza’s doneness at 10 minutes. This entry was posted in Entrees, I.C. Bladder Safe, Snacks.